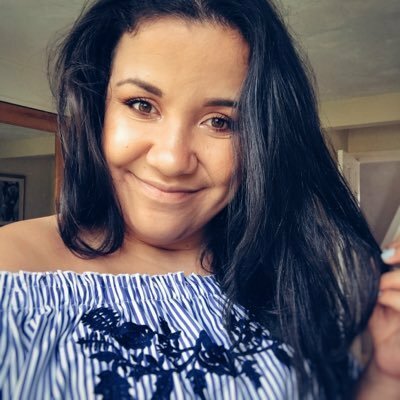 Well this months been a month of disasters (sort of) my laptop chargers died so I had to purchase a new one and now my hair dryers gone the same way! Why does everything break at the same time?! So I went to the mothership (aka Boots) to pick up a new hair dryer and boy was I in for a treat. With all the offers on at the moment it was probably a good thing my hairdryer broke when it did. I picked myself up this Mark Hill Glam Kit. It was an absolute steal at £29.99 but also as it came with straighteners alongside a hairbrush too. I'd say the only downside to this hairdryer (which I didn't realise) is that it doesn't have a nozzle bit on the front. 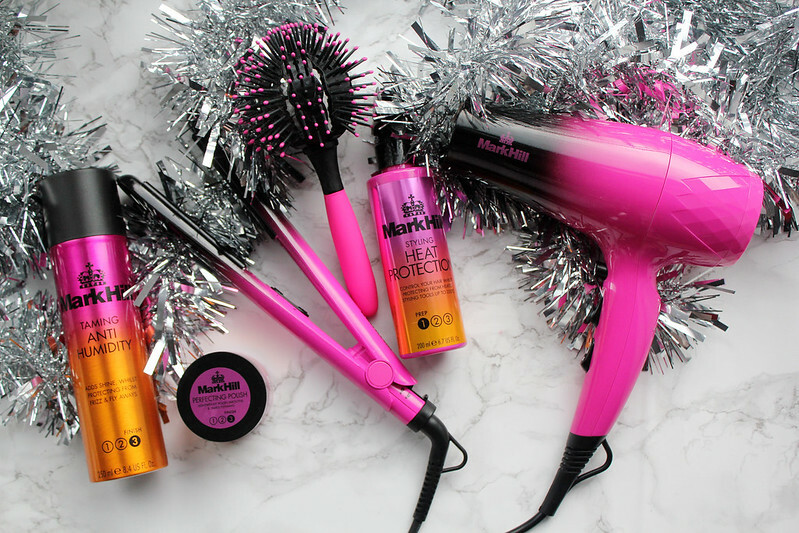 In a way I don't actually mind too much about this as with being a curly haired girl, I don't want to go overboard on the heat on my hair but as the settings aren't as powerful as my old hairdryer i'm still drying my hair but with less damage. Thanks to my Boots points I was able to pick up a new anti-humidity spray. I haven't been happy with my current one and I needed something with my hold so my hair doesn't frizz so much. 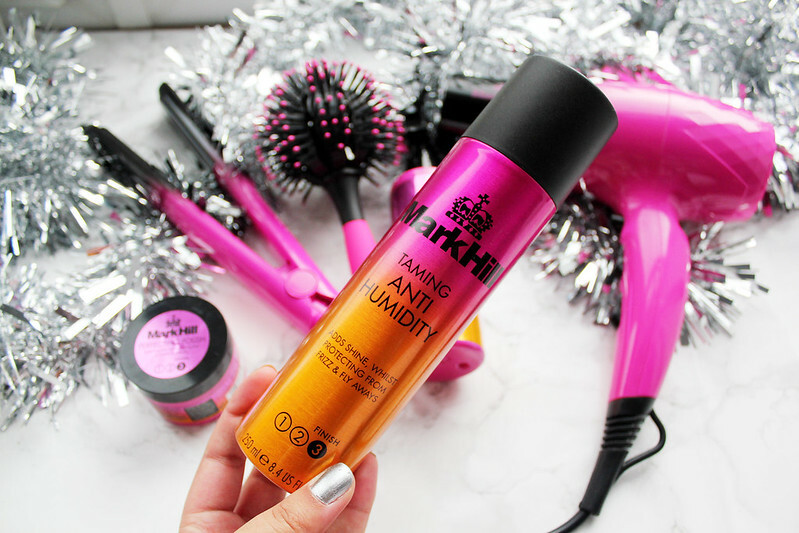 I've given the Mark Hill Anti-Humidity Spray and I'm really liking this product so far. It's definitely working more for me than the Batiste one I was using and it has more hold. 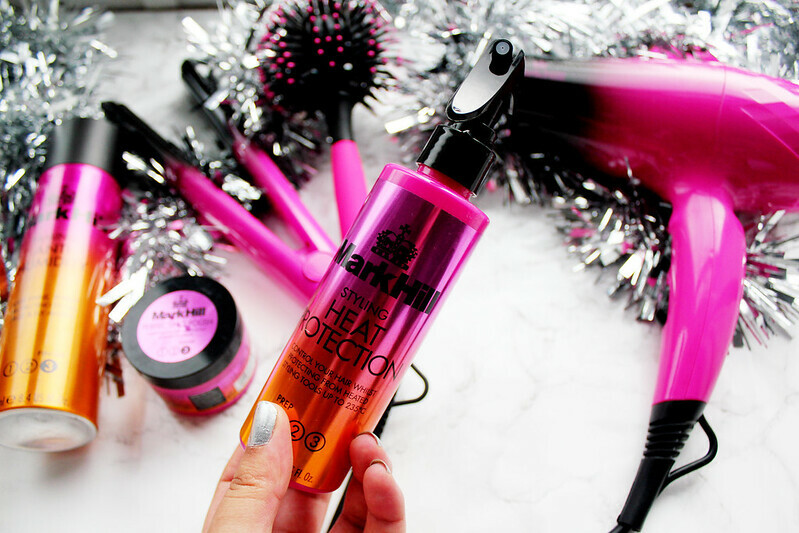 I also picked up the Mark Hill Heat Protection Spray, this I wasn't as pleased with but I wanted to try something new out (which was cheaper) as my current spray is £9. I think this Mark Hill Heat Protectant is better in the summery months. It seemed to take some of the moisture out of my hair. If you're a straight haired girl I'm sure this spray would work really well for you though! 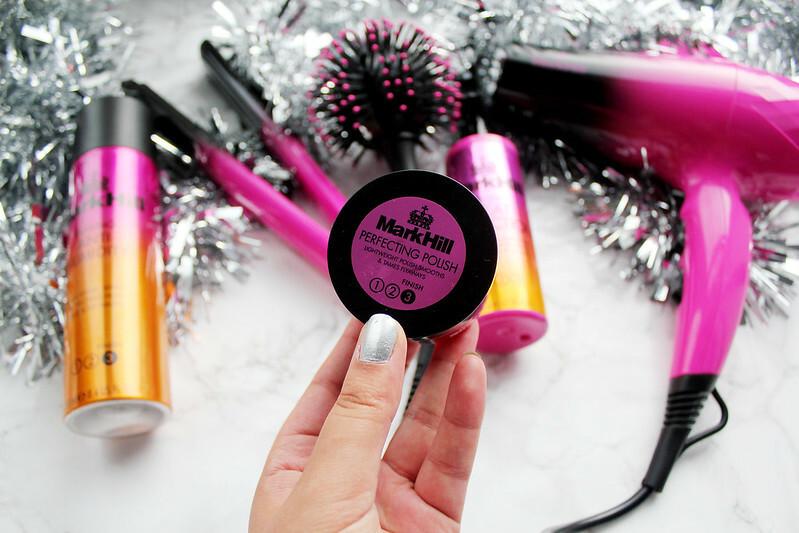 The last product I've been trying out is the Mark Hill Perfecting Polish Hair Putty. Any product which claims to tame fly aways I'm completely on board with. After trying this a few times I think it's something I'll grow more to loving. With freshly washed hair this works really well as when I'm styling my hair this helps tames the frizz and fly aways. Such a lovely set !